One of the most beautifully patterned bangle bracelets can now be customized to complement any ensemble, occasion, or mood with the stone you select! Personalized gems are available in two sizes, easily detach, and securely reattach in just seconds! 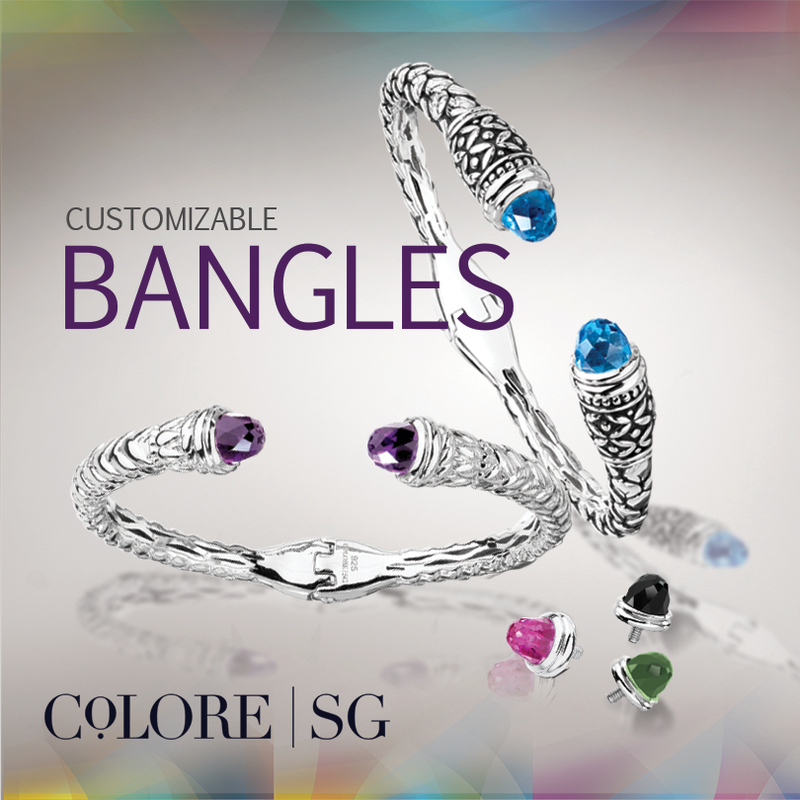 Colore’s bangles can be personalized with Amethyst, Blue Topaz, Green Amethyst, Honey Citrine, Onyx, Pink Sapphire, Lapis, Ruby or Turquoise caps! What’s your favorite summer color?